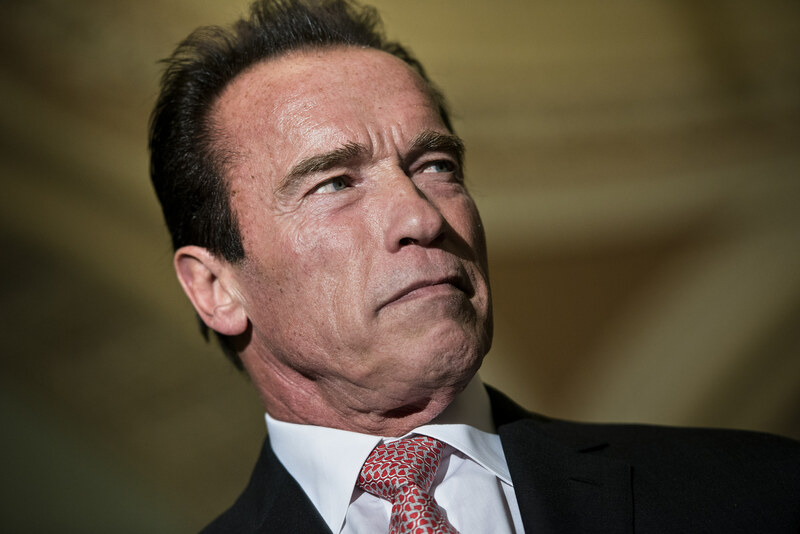 This week, we learned that Hollywood film star and former California governor Arnold Schwarzenegger would replace Donald Trump on NBC's The Apprentice in the coming season. The news made for yet another odd entertainment-meets-politics moment in the 2016 presidential campaign and has led to quite a few comparisons between the two unlikely politicians. Some comparisons are pretty obvious, as both are members of the Republican party and are clearly political outsiders. Still, Schwarzenegger and Trump share one other odd similarity: Both based their political campaigns on the idea that they were wealthy enough to be totally independent of special interests. How did that promise turn out for Schwarzenegger? Let's say that this is one place where Trump might actually want to take a few notes. When Schwarzenegger announced plans to run for California governor in 2003, the public greeted the news with surprise but very little expectation of success. By then, multiple unlikely candidates had entered the race for governor, including Hustler magazine publisher Larry Flint and actor Gary Coleman. Still, Schwarzenegger — who by then was one of the highest paid movie action stars in the world — captured voters' attention with a populist platform centered on the need for strong leadership to bring California back to greatness. Sound familiar? Just as Trump has done, Schwarzenegger told supporters and members of the press that his considerable wealth meant that he could be more attuned to the needs of voters as governors. But, as the race against incumbent Grey Davis heated up, Schwarzenegger reversed his position on campaign contributions, according to CNN. The actor contributed $5 million of his own money to the campaign, then loaned his election team an additional $1.5 million to get across the finish line. Two weeks ahead of the election, Schwarzenegger led the race for donations with a whopping $13.6 million. Schwarzenegger won the election. But, while gearing up for his reelection, the public learned that Gov. Schwarzenegger had accepted $2 million from oil interests including Chevron, Shell, and T. Boone Pickens' Vail Drilling to help fund his campaign. At the time, the governor was publicly calling for a special investigation into those same companies over claims of price gouging. In the end, The Governator's vow did him more harm than good: Not only did public sentiment turn against him, but he was also later charged with violating California's campaign finance laws. To be fair, it's quite possible that the billionaire real estate mogul has more money available to support his presidential run than Schwarzenegger had at his disposal. And so far, Trump seems committed to the idea of not accepting lobbyist donations and outing anyone who does. Still, as a fellow political outsider with considerable personal cash to fuel his election campaign, Donald Trump should be taking notes on Schwarzenegger's story.